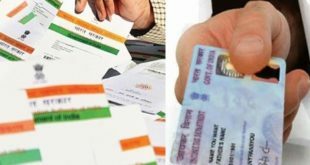 How to change Father's Name in PAN Card ? 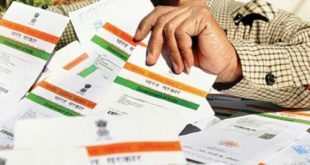 Home / India / Govt Documents / PAN Card / How to change Father’s Name in PAN Card ? Pan Card is a very important document issued by the Income Tax Department of India. This card may be used in a lot of financial and other transactions by an Indian Citizen. Today, we will tell you how to change Father’s Name in PAN Card. Using this article you can request to make Changes or Correction in the Father’s Name of PAN Card in case of incorrect Father’s Name. (Note : This process should be used only in the cases where a PAN Number has already been allotted). You will be issued a New PAN CARD with the Same Number and Father’s Name will be updated in the records of Income Tax Department. How to check the status of Failed Transaction of PAN Application ? We will guide you through all the steps required to change Father’s Name in PAN Card. Let’s begin with the process ! Read all the Guidelines Carefully . You can also convert the text in Hindi to read in Hindi Language. Scroll till the bottom of the Page and you will be able to Select the Category of the Applicant. Select the appropriate Category of Applicant from the Drop Down Menu and click on Select. Read and Fill the Complete Form Carefully. Finally, after filling up the form, a fee of Rs.107 has to be paid by Demand Draft/Cheque/Credit or Debit Card/Net Banking. (Note: Demand draft / cheque shall be in favour of ‘NSDL – PAN’ payable at Mumbai). Remember you need to fill your existing PAN Number in the box which says “Permanent Account Number(PAN)”. Submit this form after filling it completely. If the Applicant wants to go for Paperless PAN Application for Father’s Name Change, he/she may select YES wherein a Digital Signature is Required. Otherwise select NO (For Physical Submission of the Hard Copies of the Documents). In Paperless PAN Application, you can Upload your Photo, Signature & Documents Online and there is no need for Physical Submission of the Documents & the PAN Card Father’s Name Change process would end here. Applicants willing to submit Hard Copies of the Documents may proceed with Step no.5. You will now get an Acknowledgement Form with a 16 Digit Acknowledgement Number. Take a printout of this Acknowledgement Form. Paste 2 Recent Photographs(With White Background) of the Applicant in this Acknowledgement Form in the space provided. Put your Signature in the Box. Enclose your Demand Draft or Cheque (If you did not pay Pay Online), Acknowledgement Form and the self attested Documents Mentioned earlier in the form in an Envelope. Don’t forget to mention you Acknowledgement Number on the reverse side of the DD/Cheque. Phone Number : 020 – 2721 8080. Make sure that the Envelope with your PAN Application and Supporting Documents should reach NSDL Address within 15 days after getting the Acknowledgement. Your Pan Application will be sent for processing as soon NSDL receives it. You will get an e-mail regarding the same on your E-mail Address. You must have noticed that this process to make changes in PAN Card Signature is easy & hassle free. You can also Contact the NSDL Helpline to track the Status of your PAN at 02027218080. This is the Complete Procedure to Change Pan Card Father’s Name Online. If you have any doubts or Queries regarding the same, you can leave your comments below. How to change Signature in PAN Card ? 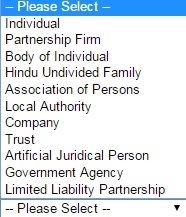 List of document required for father name and DOB correction.. I have the same query. What are the documents needed for correction of fathers name in PAN card?? If you have aadhaar card with your father’s correct name on it. It will work. I have 2 PAN cards. On 1st one I had taken the personal loan and credit card after that I was unable to make full payment, so I had done with settlement for CC and Personal loan HDFC Bank. Now my CIBIL went down and no bank was giving me Credit card. So I had applied for the 2nd PAN card and I got that. Now I am using my 2nd PAN card everywhere but I wanted to surrender my 1st PAN card which have CIBIL issue. Is it possible to surrender 1st one without any issue? Your suggestion will solve my big problem. YOUR APPLICATION IS WITHHELD FOR PROCESSING. Objection marked – [ FATHER NAME MISMATCH BETWEEN ITD DATA AND APPLICATION DATA ]. What will be next step. Please direct me, I m really confused. Do I need to submit again. Sir In my pan card my granfather name is wrong what I do for change it pls give me solution……. Pls guide me regarding changes of father name in pan card which types of supporting document is required. Your early action is very appereciated.